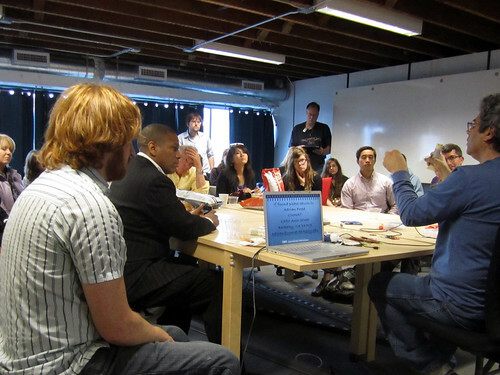 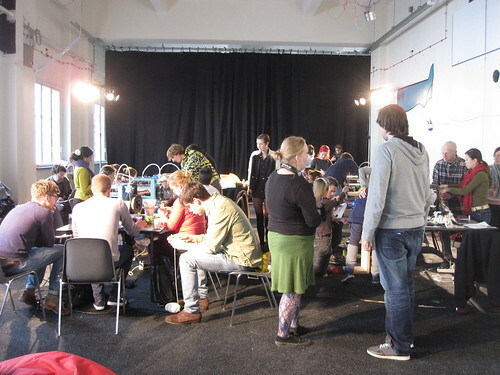 This is not a workshop! 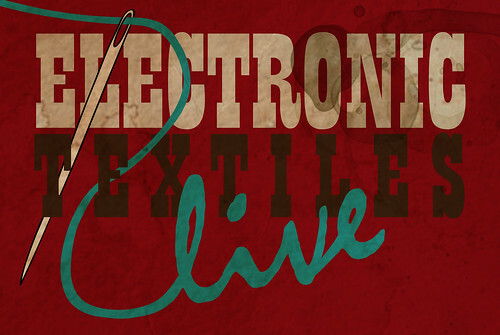 On Friday September 11th from 18:30-21:00 we will organize an E-Textile Pecha-Kucha at Schmiede – please email us if you are interested in presenting your work. 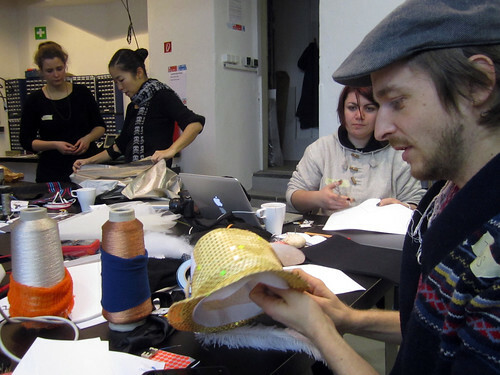 September 3&4 2015, 13:00 – 15:00 As part of the A Wearable Studio Practice exhibit at the Ars Electronica festival, we will open our mobile electronics lab for up to 5 participants at a time. 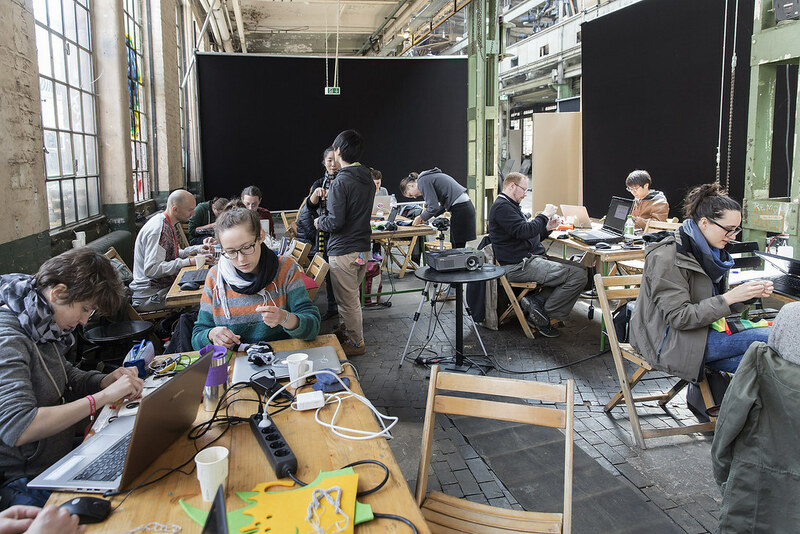 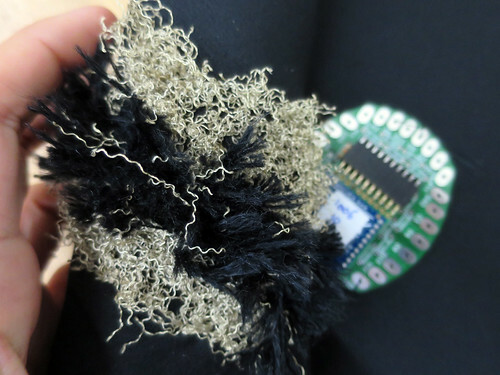 Saturday May 2nd 2015, 6 hour workshop during the 2015 NODE Festival in Frankfurt, Germany An introduction to building sensors that are soft, stretchy and fit to our fleshy human bodies to capture our movements, gestures and interactions with the world. 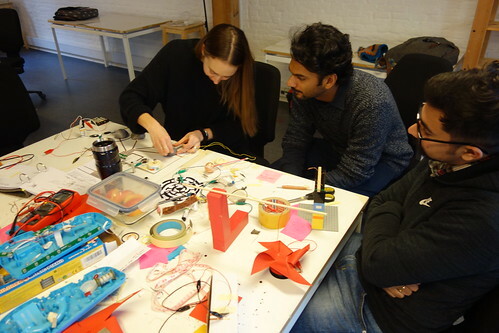 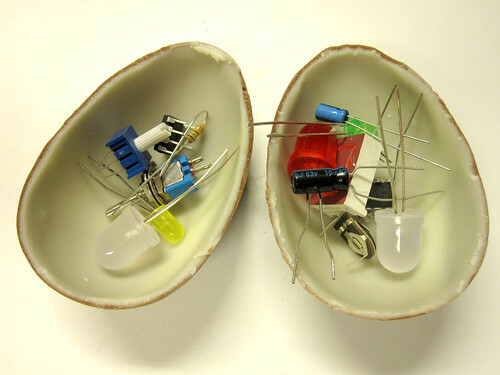 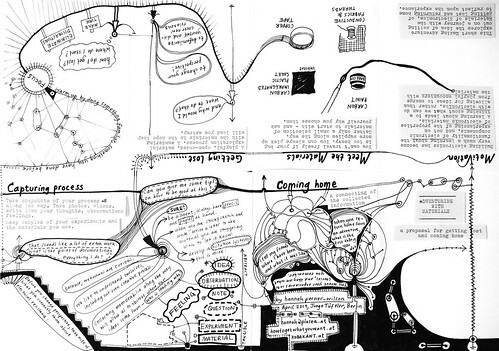 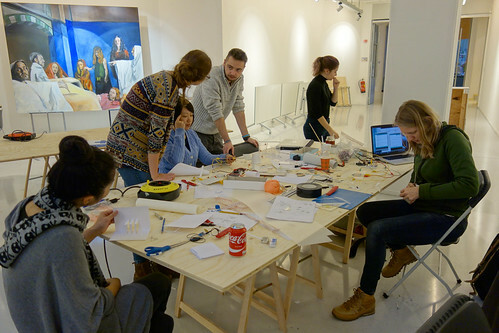 9-13 March 2015, taught by David Gauthier and Hannah Perner-Wilson at the Copenhagen Institute for Interaction Design in Copenhagen, Denmark How might we imagine and build electronics differently, if instead of thinking about electronics in terms of discrete components, we learn to control the flow of electricity through different materials? 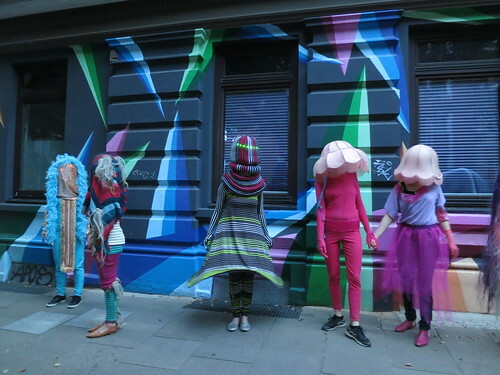 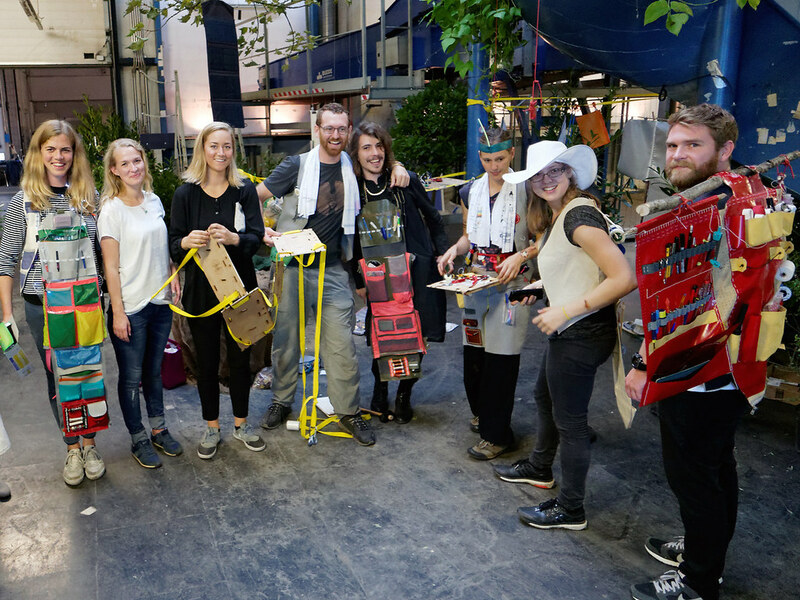 Saturday October 11th 2014, 9:30-17:00 as part of the Wear It Festival in Berlin, Germany In this workshop we will build our own segment displays and attach them to our bodies, turning ourselves into platforms for personal signage. 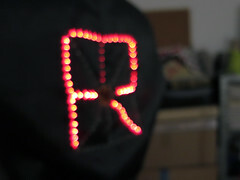 What text would you like to display on yourself? 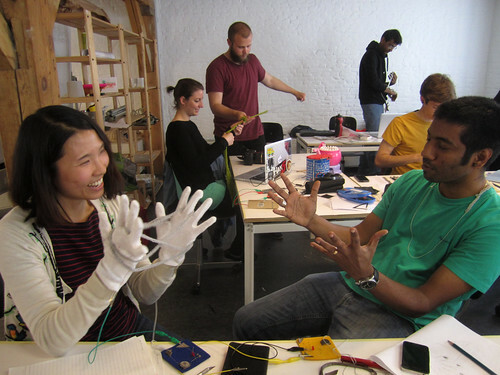 May 15, 16 2014 at F-A-S-T in Dresden, Germany In this two-day workshop participants will build and perform Chip-Man-Band Costumes – combining wearable electronics with chiptune music and the idea of one-man-band instruments! 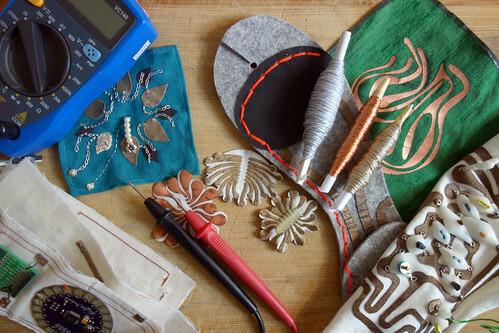 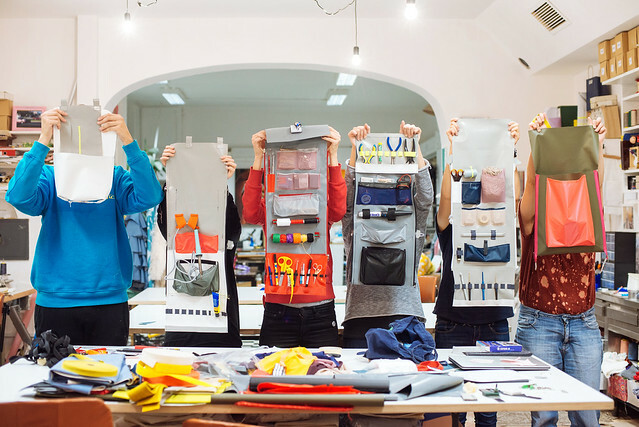 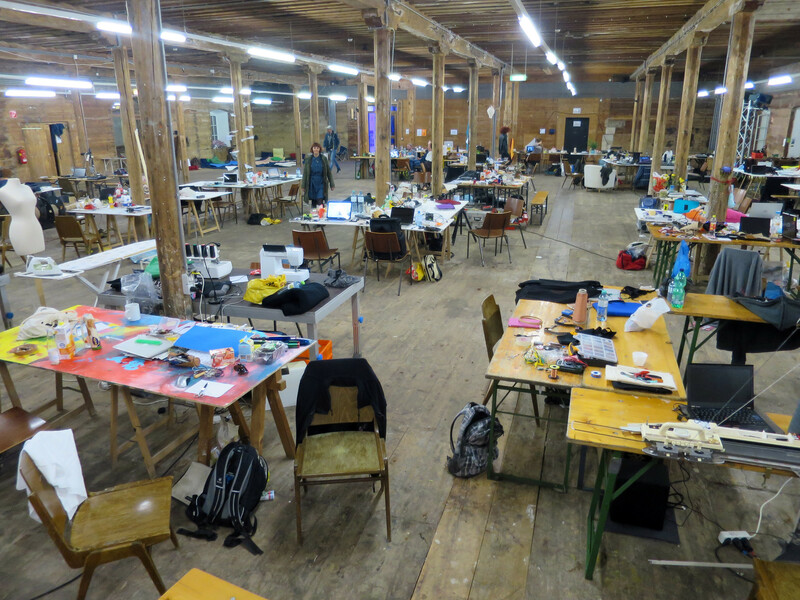 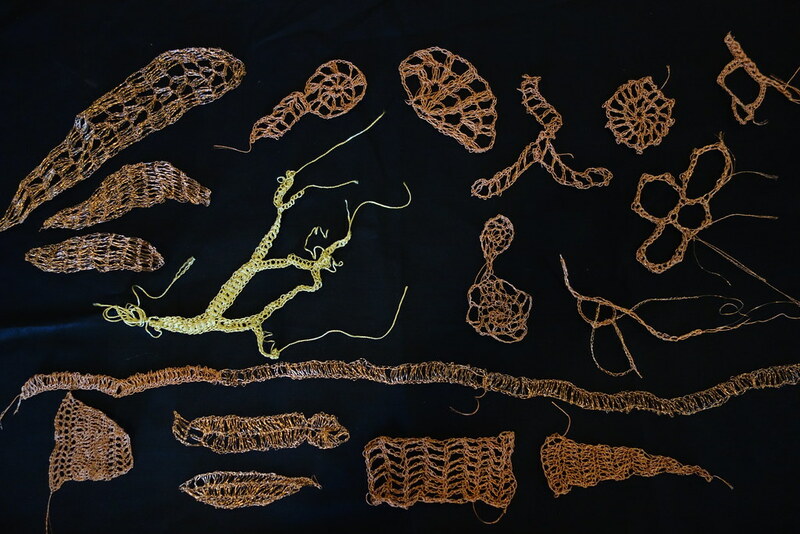 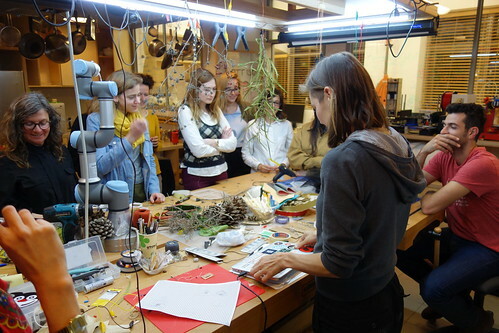 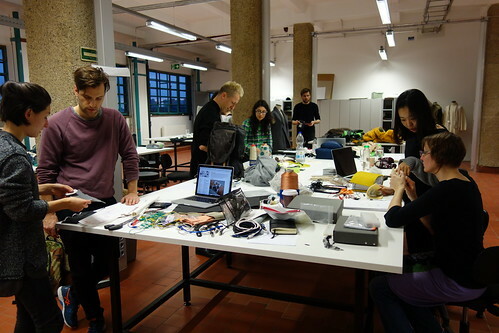 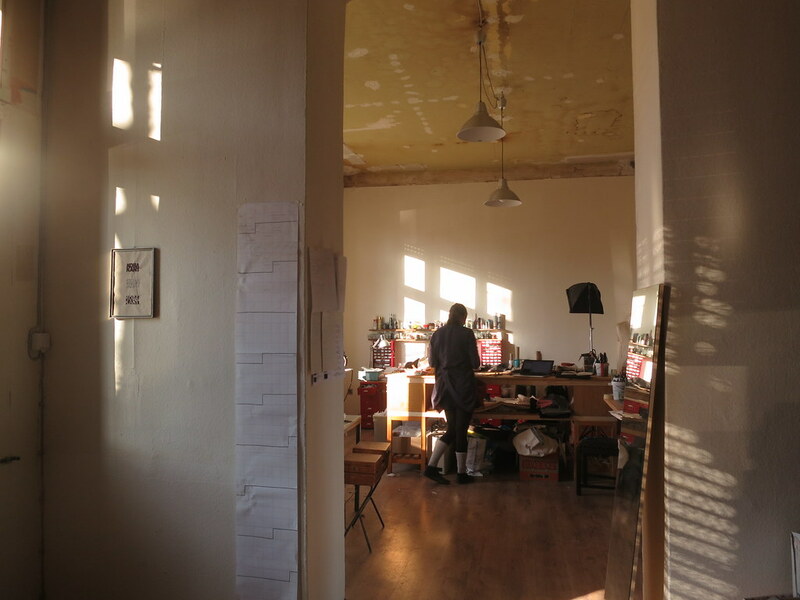 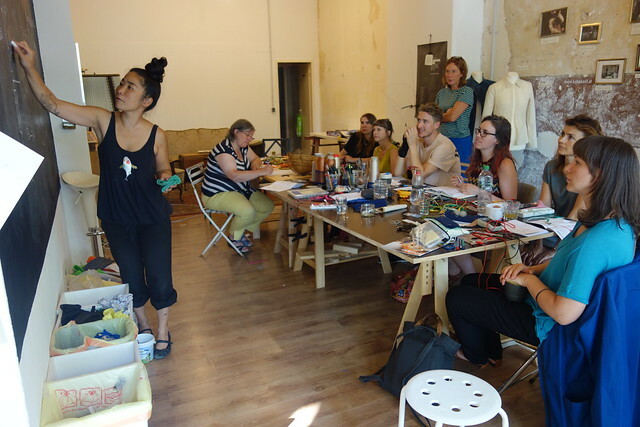 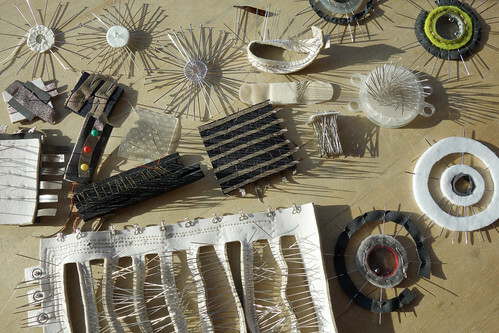 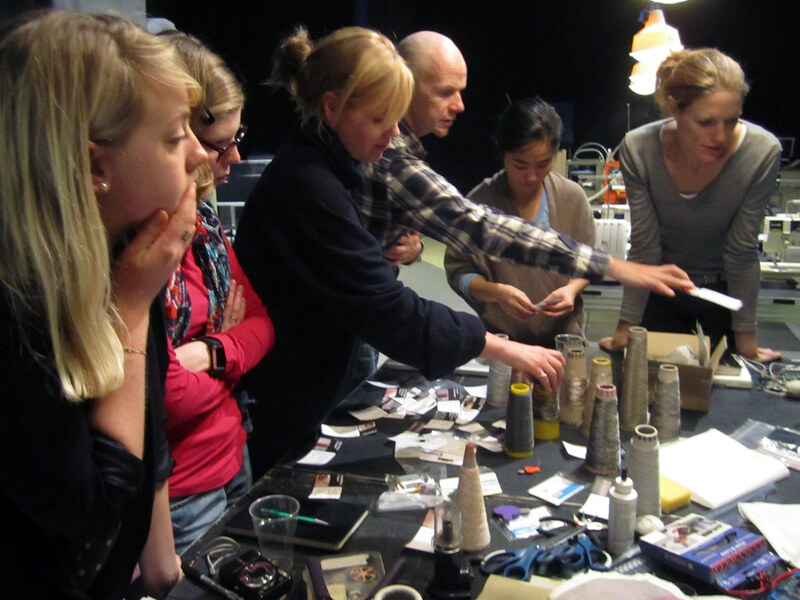 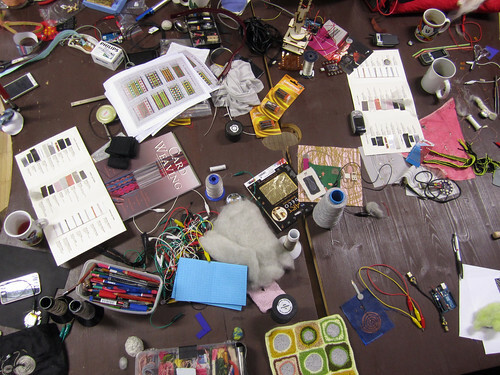 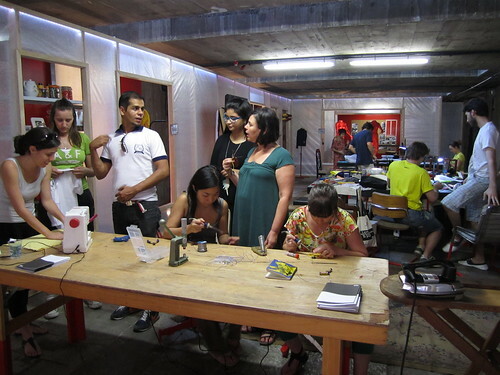 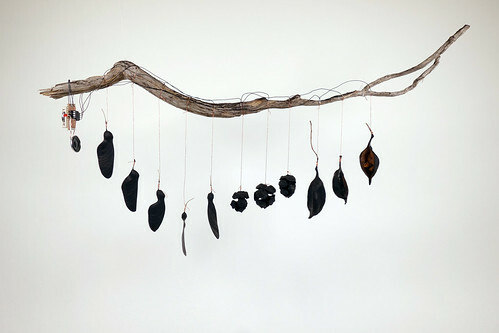 Join us every Thursday 18:30 at the FabLab Berlin for an evening of all things compulational and physical – including electronics and textiles. 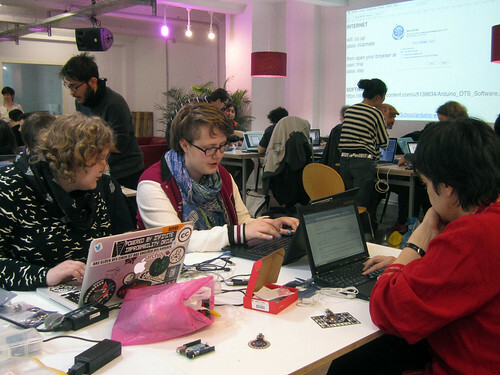 Saturday May 25th 11-18:00, Open Tech School workshop at Coop Berlin This workshop is more of a tutoring session for up to 3 participants per tutor and aims to be a super quick and basic introduction to programming an arduino lilypad, as well as personalized help building specific projects or getting started. 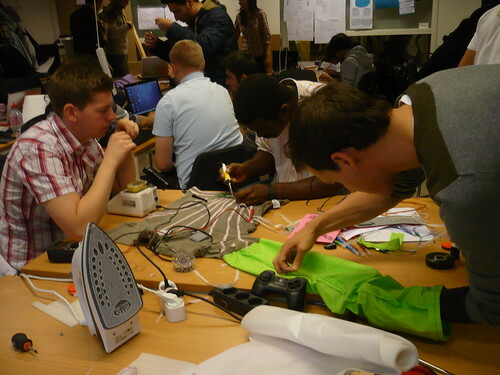 Thursday 9th May 2013, codemotion, Berlin arduino meets Wearables: What can your clothing do for you? 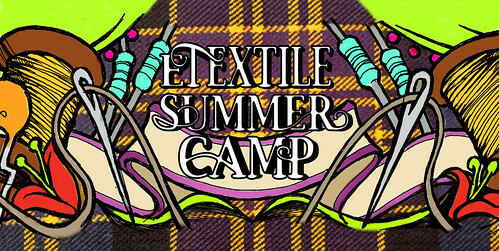 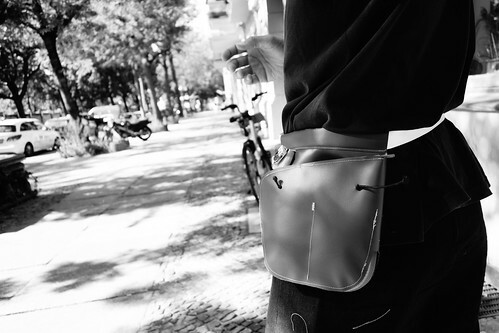 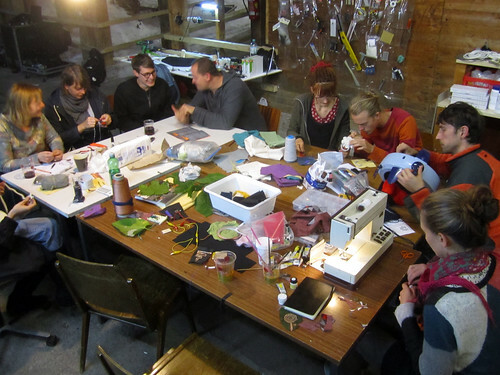 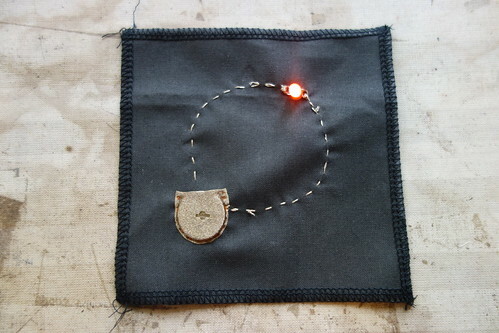 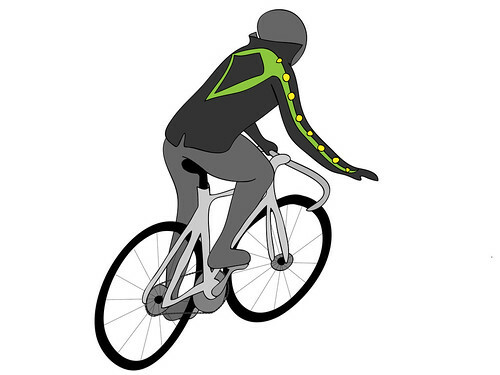 July/August/September 2013, Nadelwald, Berlin Workshop to be announced… In this workshop participants will sew a fashionable bike jacket with integrated blink signals. 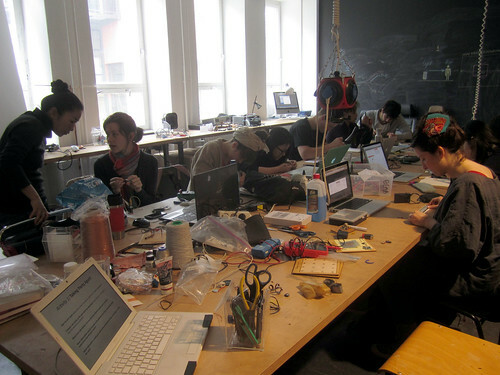 16, 17, 18 November 2012, Atelier Nord, Oslo/Norway Link >> http://ateliernord.no/en/workshop-soft-tiny-quiet-arduino-workshop/ Sign up >> http://ateliernord.no/pamelding-soft-tiny-quiet-arduino-workshop/ What are we missing? 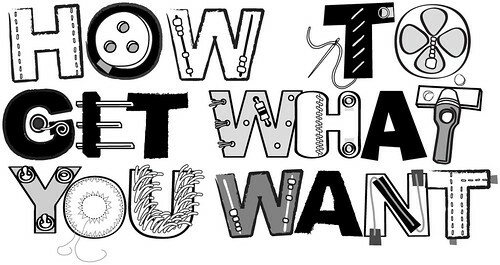 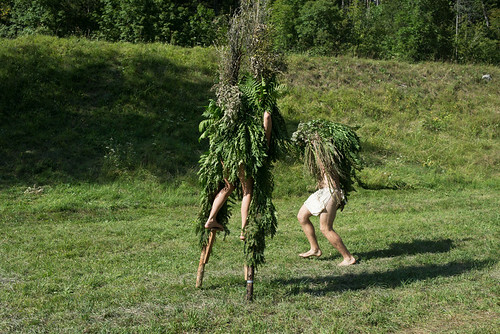 That we can’t buy in the store or online, that nobody has ever thought of because they don’t know our unique habits, strange abilities or eccentric desires? 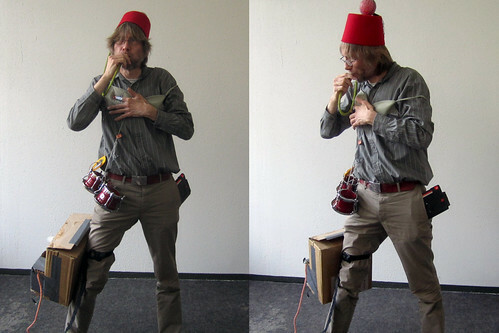 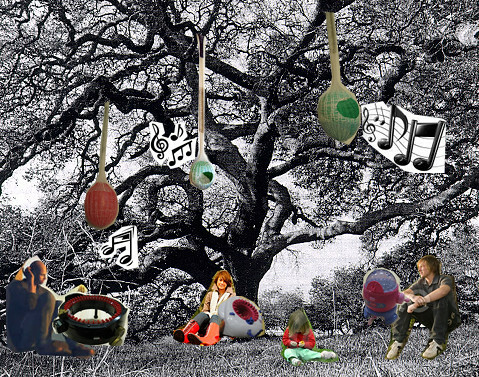 27+28 November 2010, 14:30-18:00, Mostra Sesc de Artes, Sesc Pompeia, Sao Paulo, Brazil max 15 participants The Wearable Sound Toy Orchestra is a workshop and a performance. 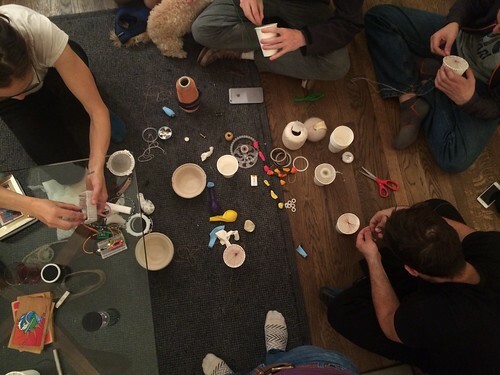 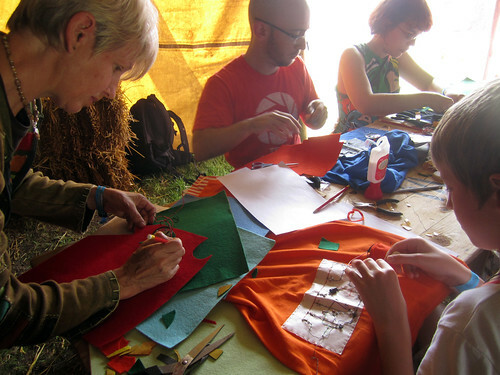 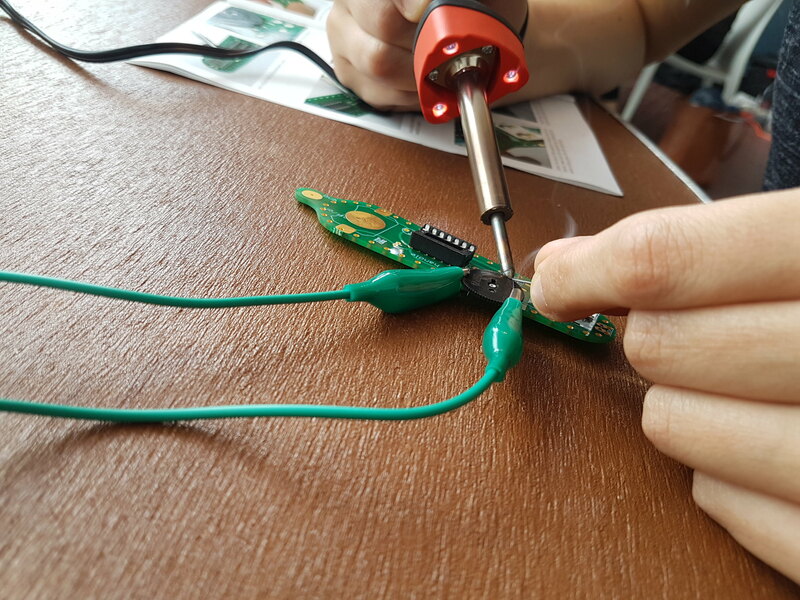 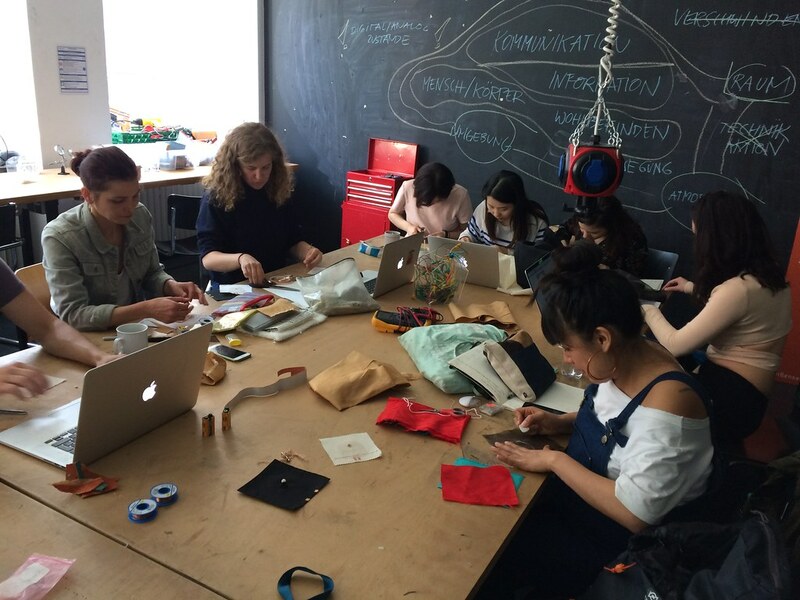 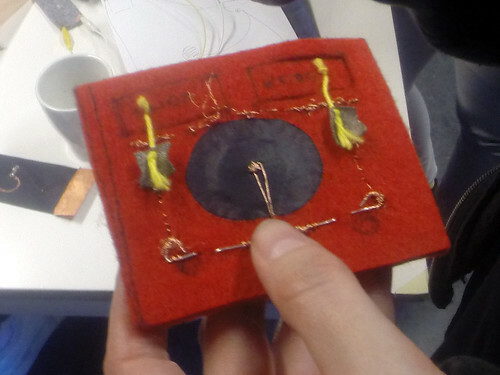 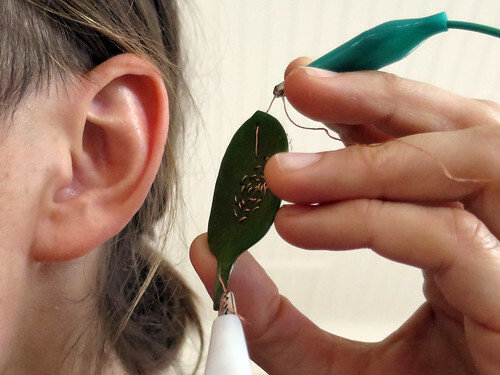 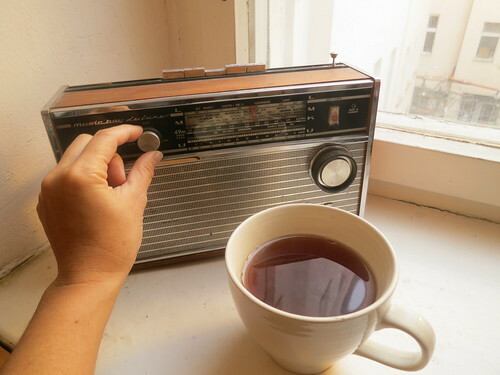 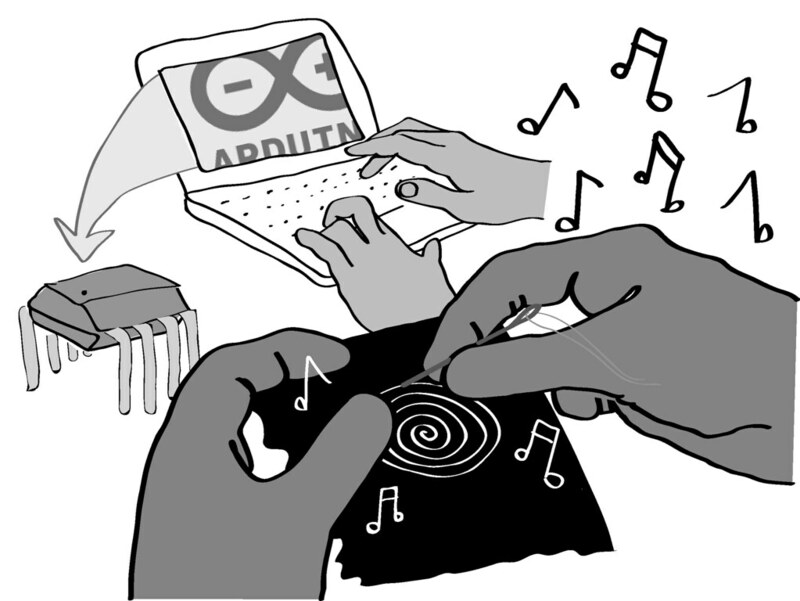 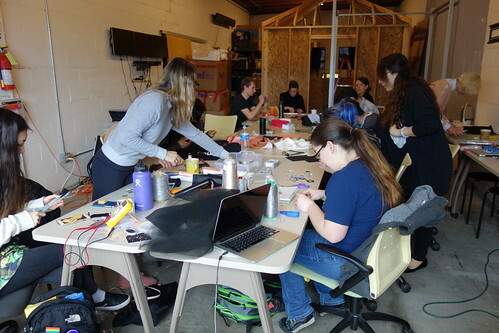 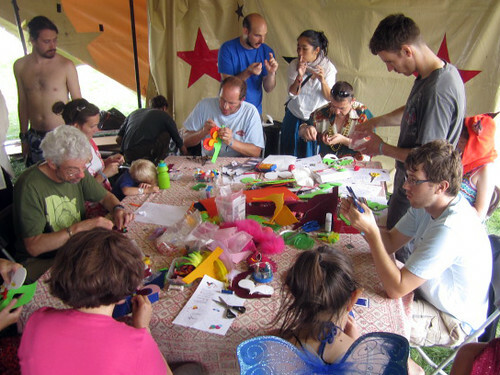 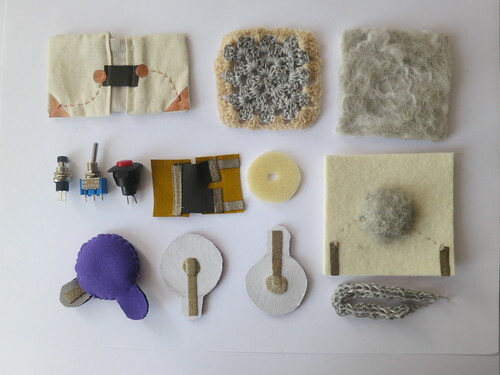 No matter what your previous experience is with textiles and/or electronics, this workshop will teach you how to turn cheap electronic sound toys into wearable instruments. 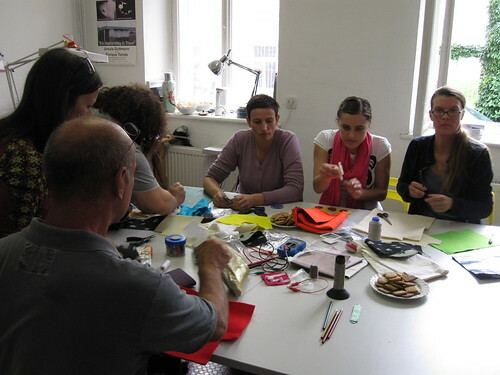 Location: Interface Cultures, Kunstuniversitat Linz, Austria Time: 31th May,1st, 2nd June, 2010, 10-17h This workshop introduces interaction and physical interface design topics through hans-on projects. 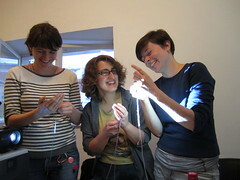 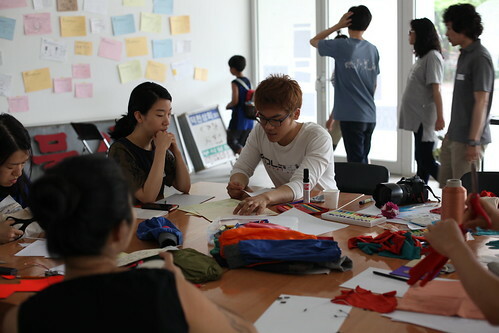 2010 A day-long workshop during which participants can come and go, contributing to knitting textile composite objects, furniture and installations. 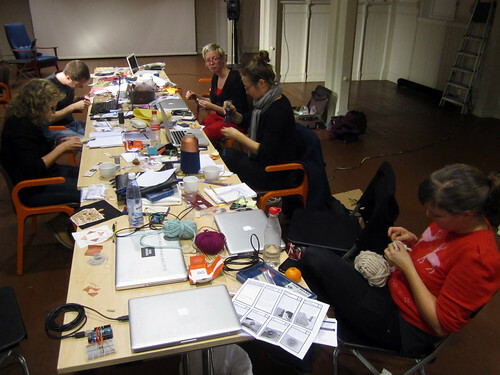 March 25 2010, SIDeR, UID, Umea, Sweden 10 participants, 3 hours Participants will be able to make their own fabric sensors and then connect it to a multimeter, LED or an arduino+Processing to visualize the sensor data. 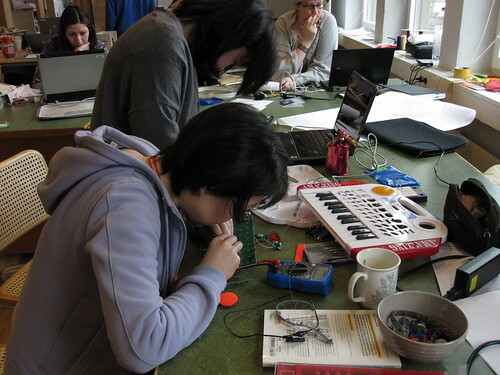 15-18th March 2010, Atelier Nord, Oslo, Norway 10 participants, 4 days Wearable Sound Experiments, or why does my knee bark and my armpit squeak? 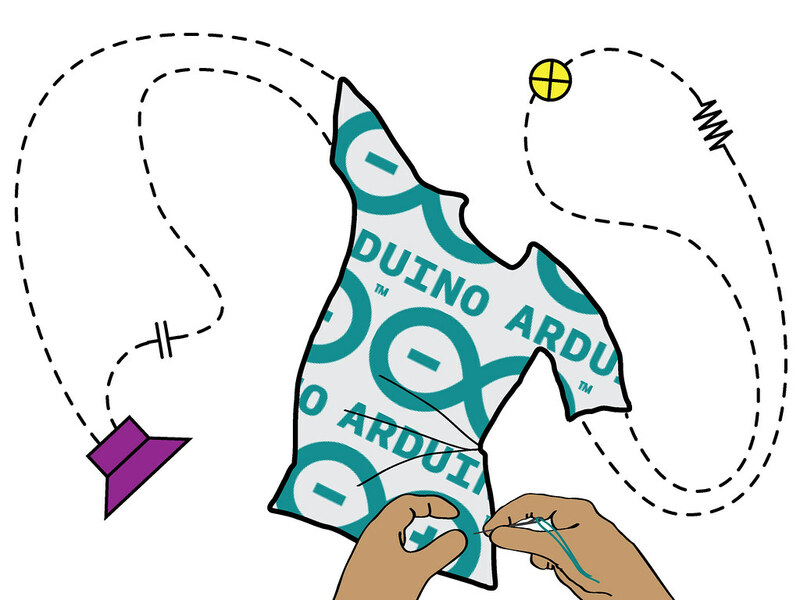 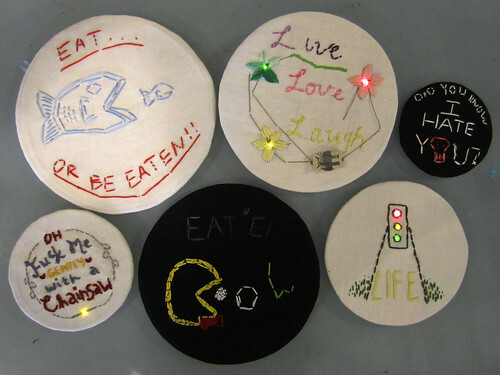 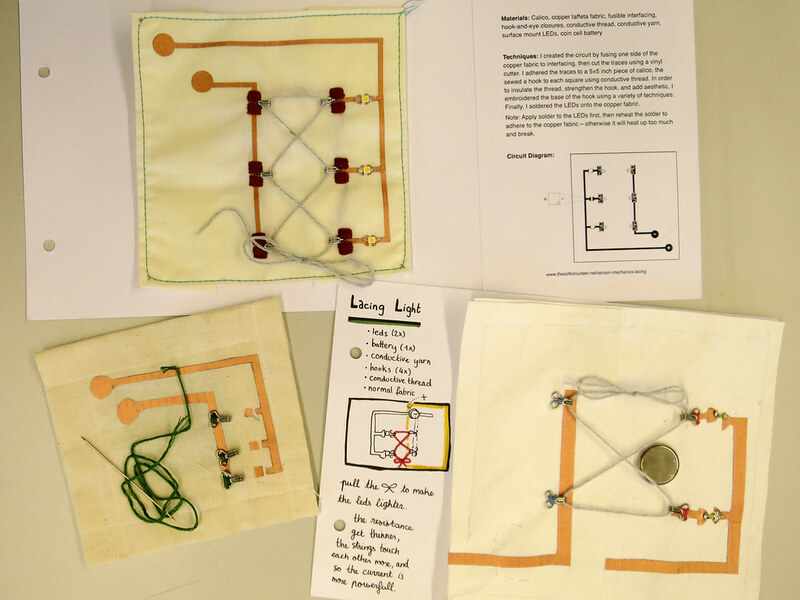 This four day workshop introduces basic soft electronics techniques for constructing fabric sensors and wearable circuits. 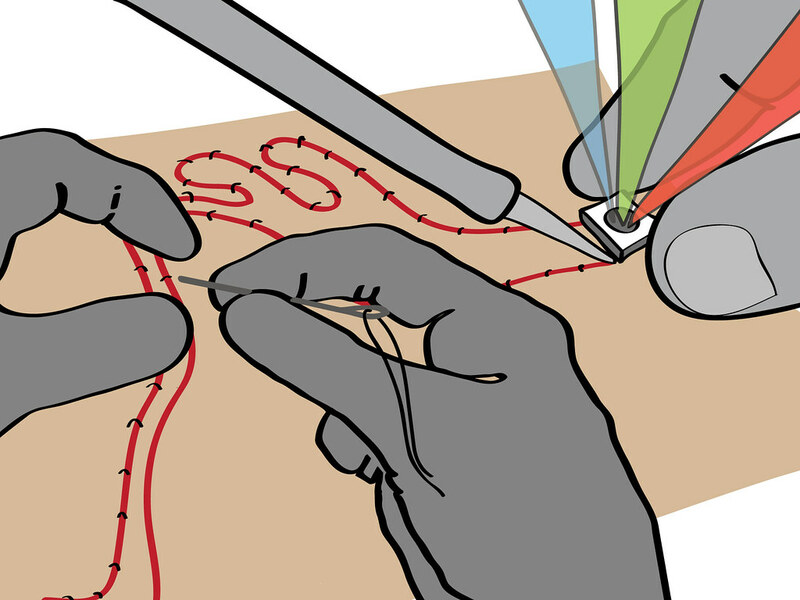 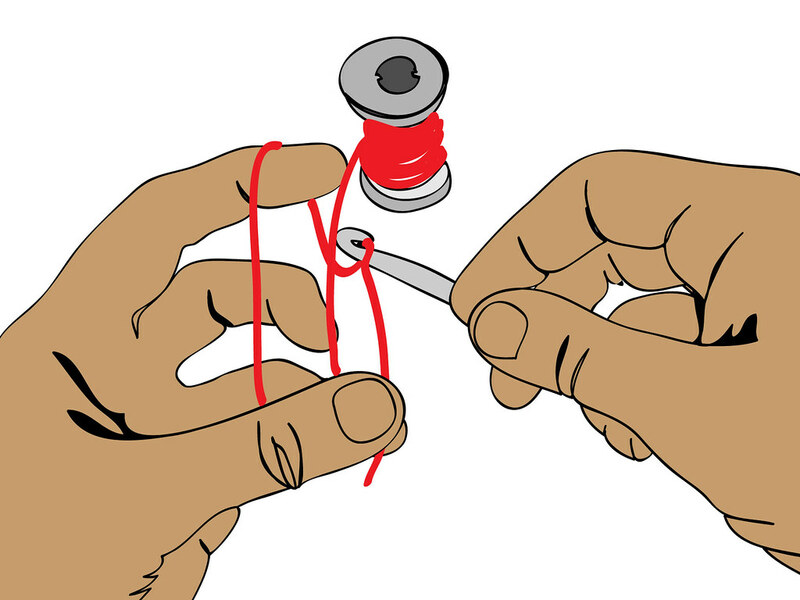 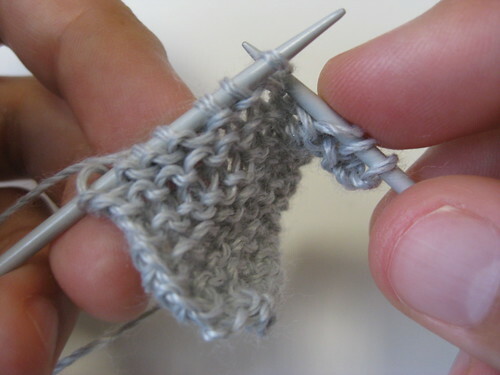 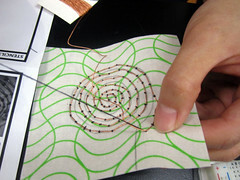 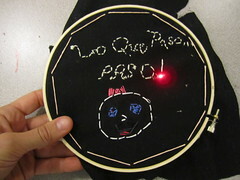 Instead of using soldering irons and wire, we will use sewing needles and conductive thread. 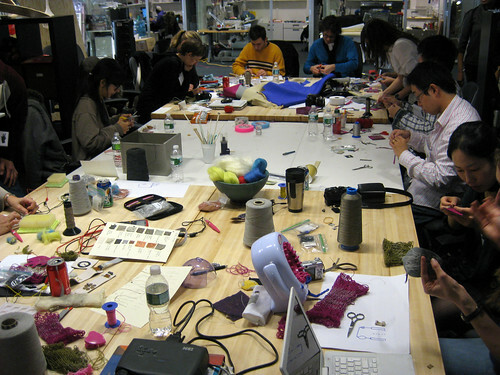 January 27 2010, TEI, Cambridge, MA 15 participants, 6 hours This workshop will explore the use of low-cost materials and tools to build textile-based interfaces. 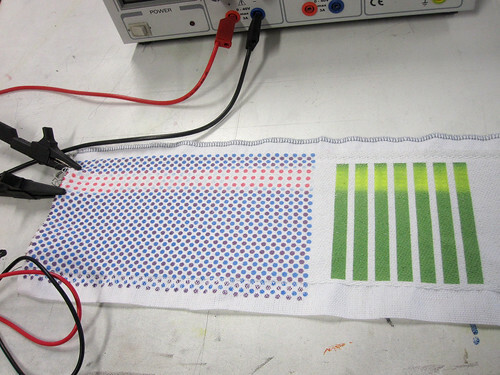 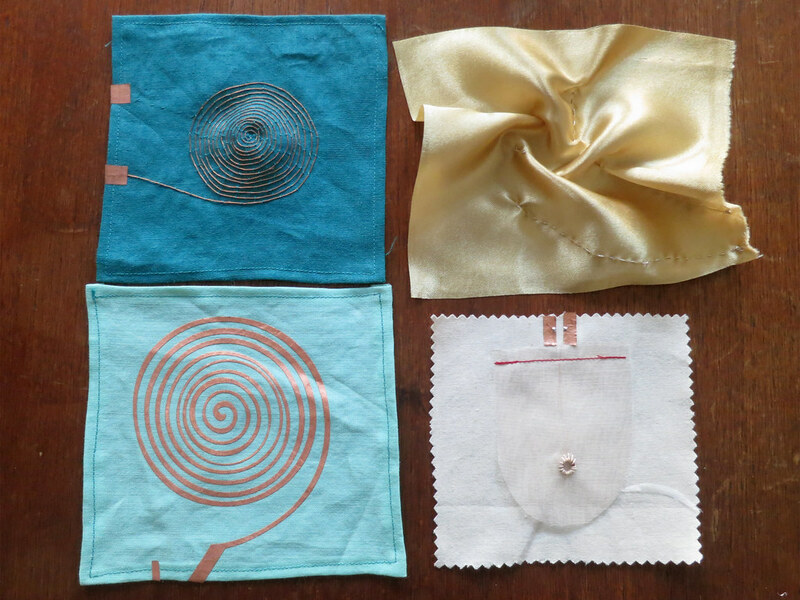 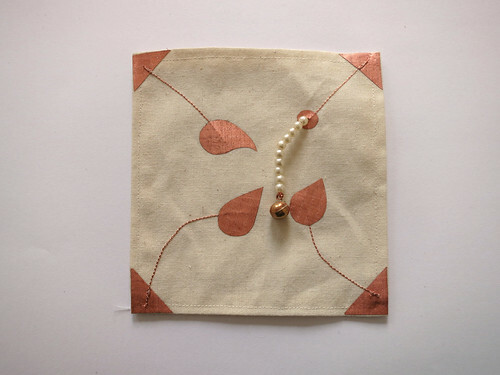 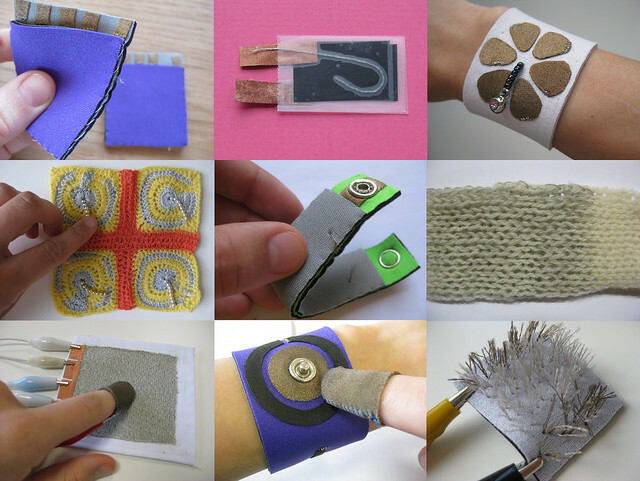 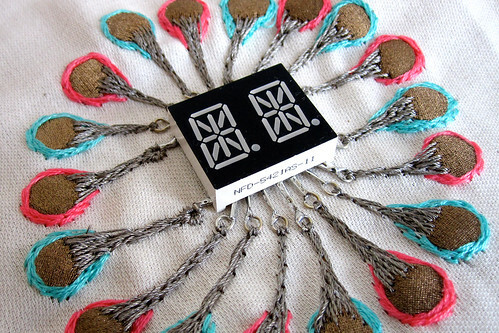 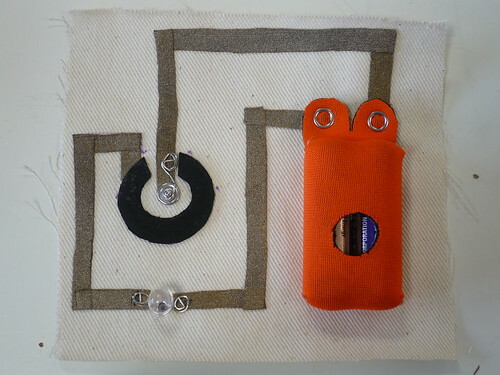 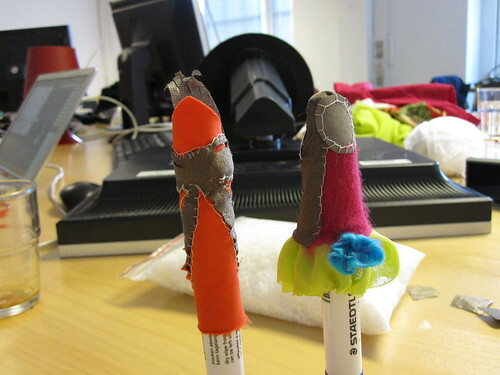 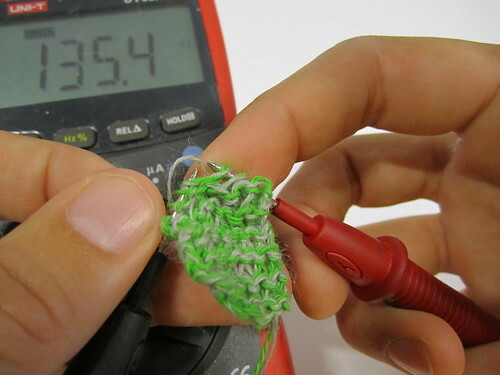 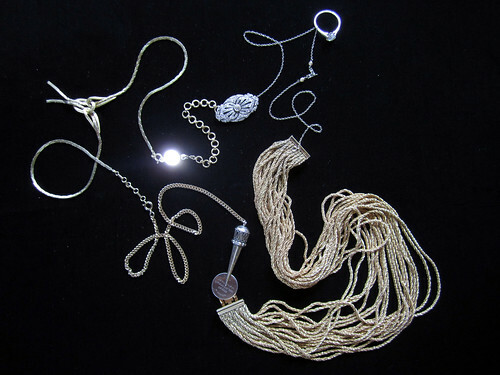 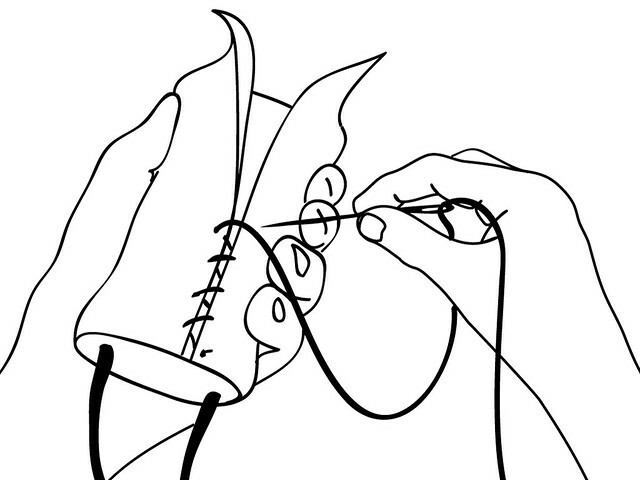 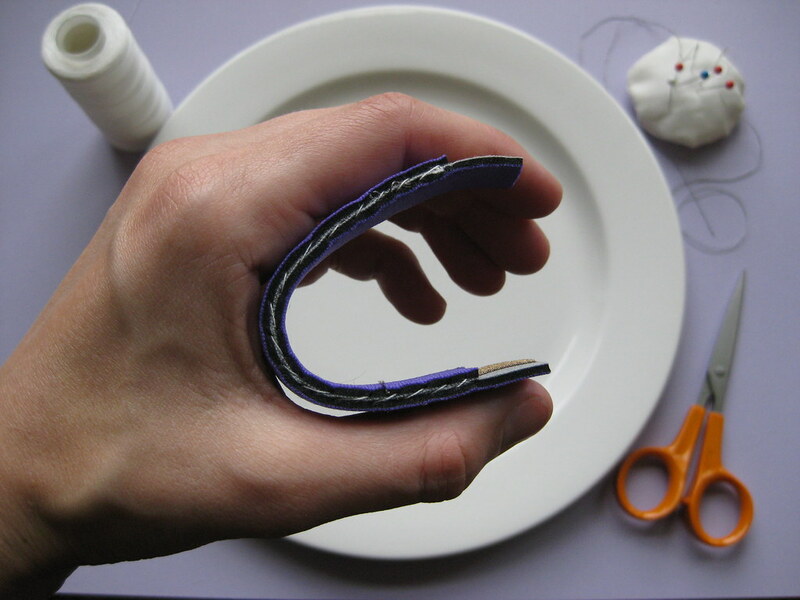 We will introduce a range methods for handcrafting textile sensors and circuitry. 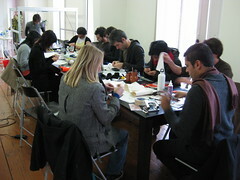 14 December 2009, AIA, Lisbon, Portugal 15 participants, 6 hours Constructing textile sensors and circuitry from available and affordable materials and tools. 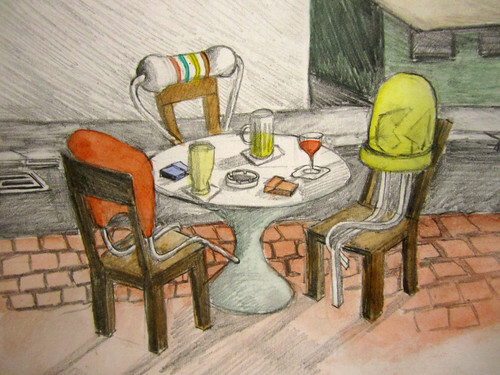 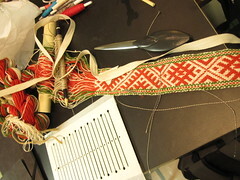 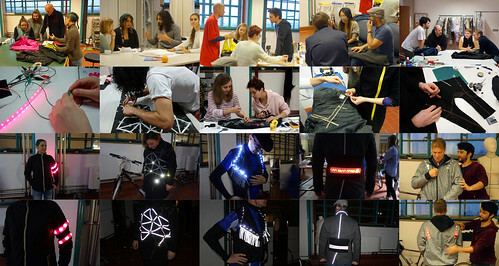 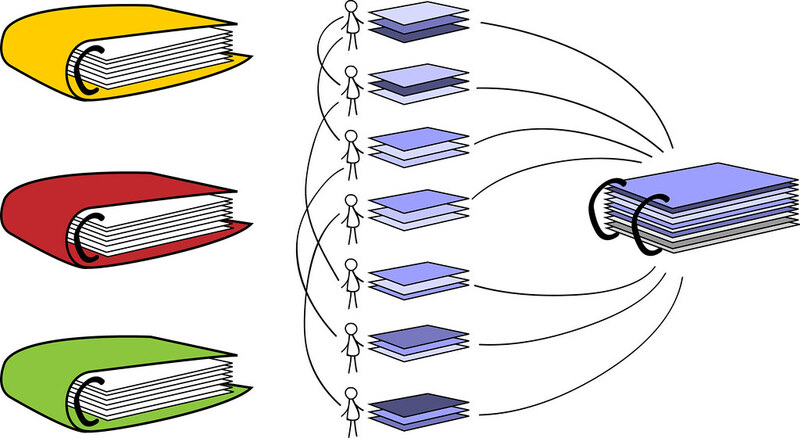 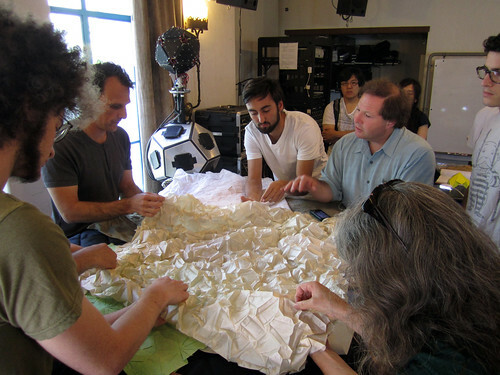 Implementing these in interaction scenarios to explore the qualities of textiles in human-computer interaction.